Whether financial, healthcare, energy, manufacturing, or web enterprises, across all industries, a common goal is digitizing the organization as fast as possible. This allows businesses to take advantage of the many technologies that now enable greater speed and agility, and ultimately promise more revenue. As part of the movement, organizations are also looking to benefit from the Internet of Things (IoT). As IoT adoption in the enterprise continues to take shape, organizations are finding that the diverse capabilities represent another massive increase in the number of devices and the data volumes generated by these devices in enterprise networks. IoT infrastructure represents a broad diversity of technology. New data streams, protocols, security guidelines, and backup procedures challenge network and security operations staff. The higher volume of IoT network traffic makes capacity planning and network management more difficult, especially as new IoT deployments emerge. Also, IoT devices with inadequate security safeguards are easy targets to hijack with malware that weaponizes them for DDoS attacks. This has the potential to disrupt infrastructure as already seen in widely publicized IoT-based DDoS attacks. So, how can digital businesses cope with these challenges without giving up on IoT? How will network monitoring tools evolve to accommodate this ever-changing IoT network landscape? Network-based analytics is critical to managing IoT infrastructure. Network analytics has the power to examine details of the IoT communications patterns made through various protocols and correlate these to data paths traversed throughout the network. Normal or baseline performance measurements are established, and this information can then be used to identify suboptimal paths, packet loss, congestion points, or security threats. So, how do legacy network management tools stack up against these requirements? Appliance-based network management solutions are too resource-constrained to handle the vast volume of data generated by IoT infrastructure. And software-based network management tools silo flow data, imposing severe constraints on analytics methods that require network data correlation across many network locations. This leads us to a big data approach to capture and report on this unstructured IoT data. Full data retention, deep IoT analytics – Kentik’s big data solution doesn’t create summaries or roll-ups and discard network traffic details. Instead raw data is retained unsummarized, and exploratory analytics enable traffic patterns to be recognized that might go unnoticed as IoT infrastructure is built out. Custom reporting dimensions – Custom dimensions are customer-defined labels that are applied to flow data based on user-defined criteria, as Kentik ingests the data into the Kentik Data Engine (KDE). This allows users to create IoT specific mappings, such as identifying IoT devices by their IP addresses. This makes IoT-specific traffic flows much easier to identify and report on. API access – Kentik Detect provides API access to administrative functions like defining users, devices, and custom dimensions, as well as the ability to pull formatted data from the system. This allows for more automated integration with other tools to avoid siloed applications. Adaptive baselining and anomaly detection – Big data enables automated tracking of dozens of traffic dimensions to determine which should be baselined and measured for anomalies. This enables far more accurate detection and notification by making the system responsive to the organic changes in IoT network infrastructure and traffic patterns. This makes it easier for IoT-based threats to be readily detected versus normal traffic. Custom Dashboards – Kentik Detect’s Custom Dashboard feature enables users to quickly make sense of the large volumes of data generated by IoT devices. By creating custom panels that visualize the data in the way that makes the most sense to the user, better insight can be gained into IoT network traffic patterns. 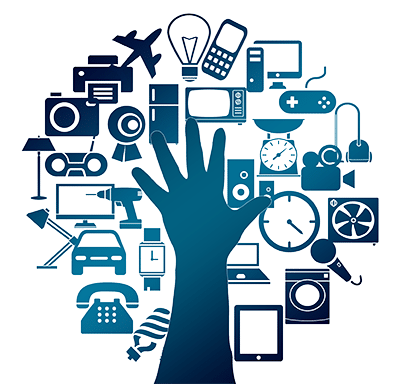 No matter how quickly an organization embraces IoT, it’s important to remember that the business value to be observed is not from the type of IoT device or how the device connects to the network, but rather from the types of insights that the device’s data is able to create. This data is used to understand how businesses are operating from second to second, and IoT analytics is at the heart of this revolution. To see how Kentik Detect can help your organization analyze, monitor, and react IoT traffic patterns, request a demo or sign up for a free trial today.